The VSC is lucky enough to have a diverse group of talented women who contribute so much more than just good taste and vintage knowledge to the collective. 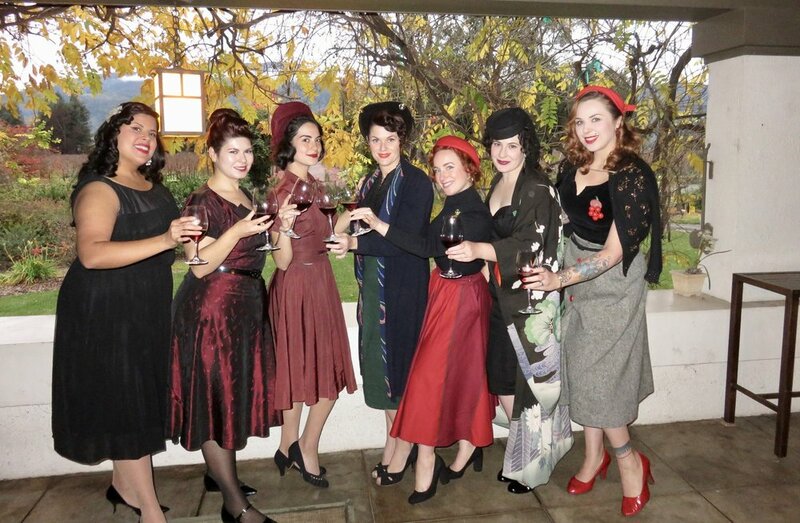 Last weekend one such gal contributed a different kind of vintage knowledge to the group, inviting us for an afternoon of wine and food pairings in an historic mansion in Napa. Ginevra is an advanced sommelier, starting her career in New York City too many years ago to mention...and has worked for many leading companies in the beverage industry in sales, marketing, and education. Each VSC member brought a pre-assigned dish that would best compliment a wine Ginevra had in mind, and we spent the afternoon sampling arugula salad (with and without blue cheese) with Provenance Sauvignon Blanc and Etude Pinot Gris, mushroom risotto with Stags' Leap Chardonnay, hard cheeses and duck pate with two seperate Pinot Noirs; one old world from Chassagne Montrachet in Burgundy and one from the famed Carneros district in California, and lastly we paired beef with a trio of Beaulieu Vineyard, Georges de Latour Private Reserve Cabernet from 1998, 2005 and 2013. So not only was there a discussion on food and wine parings, but on how wines change when cellared and aged through decades and how grapes change when planted in different climates and soils! After several glasses of wine (and a lot of new wine knowledge) we explored the house which is a 1913 Craftsman, admiring the architectural details and the view of the surrounding vineyards. Several of us brought along husbands in a rare +1 assembly, and as the sun set we took photos on the porch.